Who he or she is, I don’t know. They prefer to remain anonymous. But what they’re doing, obviously as a labor of love, is exploring the Mississippi Delta, recording for posterity some of today’s disappearing blues treasures. Jimmy ‘Duck’ Holmes photographed by Shein Die. This photographer’s so private, our only communication has been by twitter and email, but I am allowed to use two of Shein Die’s photographs here on my blog. You can almost feel the quality. 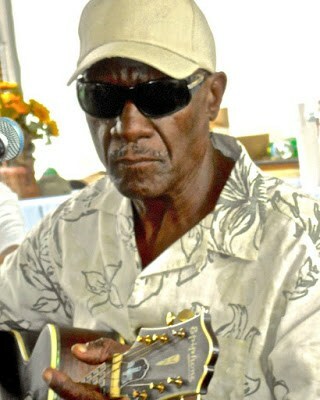 The first photograph is of Jimmy ‘Duck’ Holmes, now 70, said to be the last of the Bentonia bluesmen. Shein Die tells me Jimmy’s parents founded the oldest juke joint in town, Bentonia’s Blue Front café, which Jimmy now runs. Bentonia, incidentally, is in Mississippi’s blues-seeped Yazoo County. Doing a bit of research on Bentonia blues, I’ve found it’s a school of blues founded by the great Skip James, whose song “I’m So Glad” was immortalized by British rock band, Cream in the 1960s. Born in 1902, James was “rediscovered” in 1964 at the age of 62 and subsequently contributed enormously to America’s blues revival in the 1960s. Skip James songs have been recorded by a host of influential musicians and bands including Robert Johnson, Gene Austin, Lonnie Donegan, Beck, Deep Purple and Eric Clapton. James ‘Super Chikan’ Johnson. Photo courtesy: Shein Die. 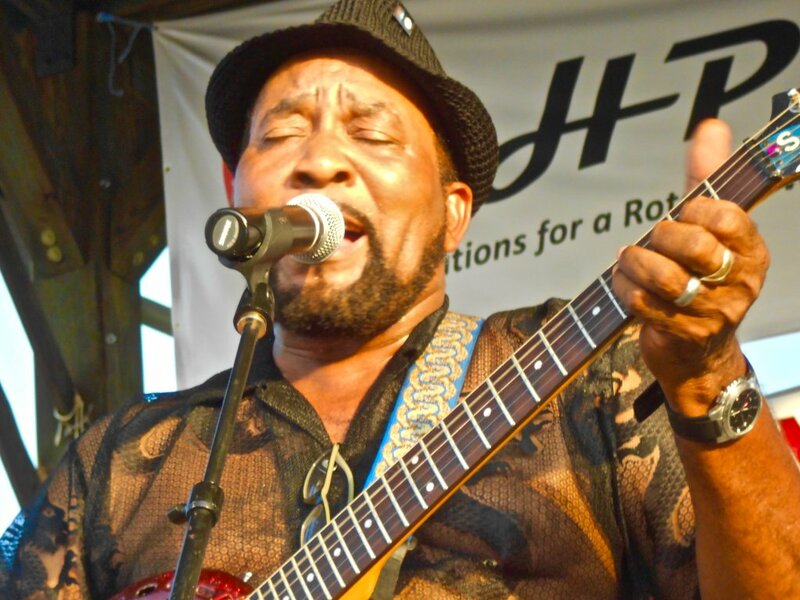 The second Shein Die photograph featured here is of Clarksdale-based James ‘Super Chikan’ Johnson. A purveyor of what’s been described as an edgier, electrified version of raw Delta guitar blues, Johnson is also known for his unique guitars. These Johnson builds from objects he finds; and many such instruments are found in blues museums and the homes of celebrity musicians. While I try to unveil the mysteries of blues’ past, Shein Die captures sublime images of the present, although I read in the TBTB interview, Shein Die is also a blues historian. Photograph courtesy of Shein Die. I’ve also since found out that any money made by the sale of Shein Die’s photographs goes directly to the blues musician featured. Wouldn’t we all like to know more about this generously-spirited blues photographer?